Evertz will be showcasing the latest features in its comprehensive range of software defined video networking (SDVN) IP solutions at the 2017 NAB show in Las Vegas. Evertz has over 80 global SDVN deployments for large scale production, playout, headend, and cloud based applications. 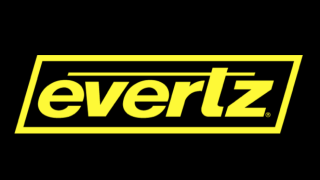 For NAB 2017, Evertz will expand its SDVN portfolio with the introduction of 25GbE products; support for SMPTE 2110 and NMOS IS-04; and new FPGA accelerated compute blades on the evEDGE platform. Evertz will showcase Facility 2020, a representation of a next generation broadcast facility based on the evEDGE. The solution is a software defined compute and routing platform designed to meet the needs of smaller facilities, while enabling larger facilities to expand using a distributed environment. The evEDGE compute blade enables a virtualized environment and provides customers “on-demand” processes to enable elastic and agile workflows. Evertz will also be participating in the IP Showcase, an industry showcase of the latest advances in internet protocol technology (North hall, N4824), by demonstrating solutions interoperating with IP-based technology from other vendors. Evertz's NAB exhibit can be found in Las Vegas Convention Cen North Hall, N1503, from April 24-27, 2017.